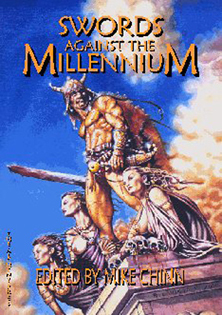 Swords against the Millennium was published in paperback (£9.95) and as a hardcover, signed by all contributors and limited to 200 copies (£25.00). Plus p&p. The paperback edition is almost OOP — just a few copies remain at Alchemy Towers. Contact us for availability. There may be copies available via Amazon, etc.